Magnetek provides innovative, cost-effective, custom-engineered radio remote controls complete with crane interface controls. These are designed to your specifications, reducing internal engineering and manufacturing costs, improving time to market, and enhancing equipment performance. We offer complete plug-and-play control packages designed specifically for your material handling equipment, manufactured and tested on our panel assembly line. 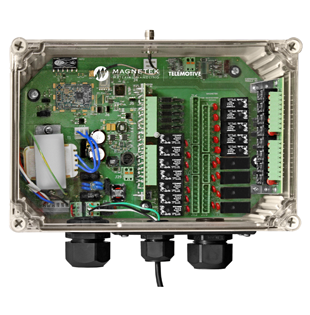 InteleSmart2 is compatible with all of Magnetek’s industry-leading transmitters.